The Redskins will be returning all three 2014 quarterbacks this offseason. Unrestricted free agent Colt McCoy will re-sign with the team, according to ESPN’s Adam Schefter. 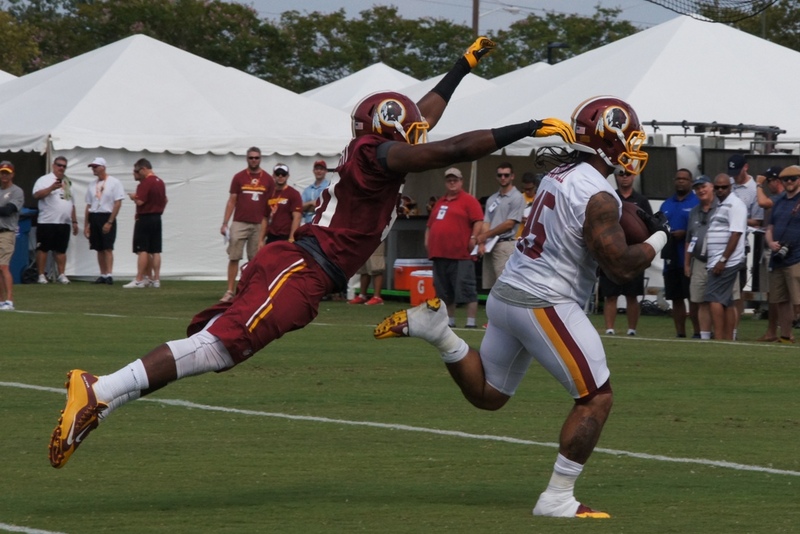 Day three of Redskins training camp consisted of the first practice featuring shoulder pads. Get a good look at some day three action. 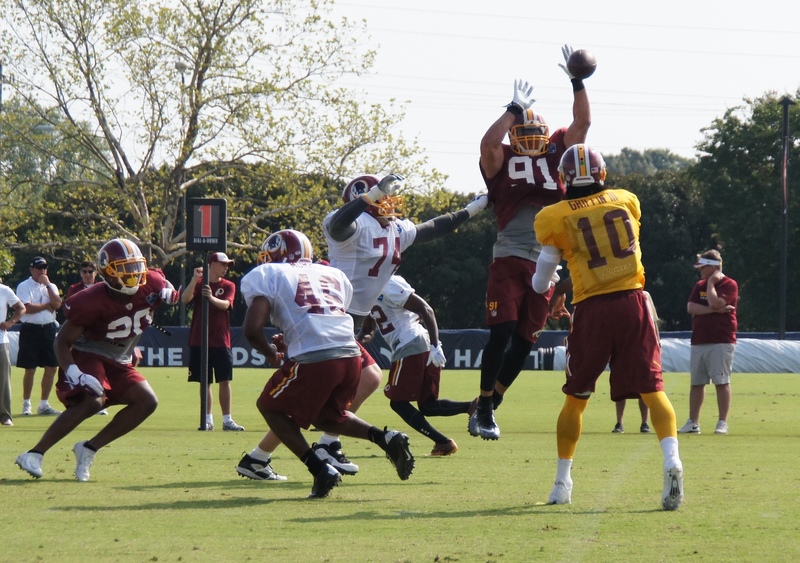 Ryan Kerrigan knocks down an RGIII pass. Photo by Terri Russell.